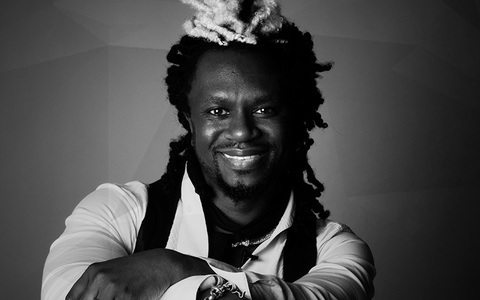 Watch Hector Obeng's online hairdressing videos on MHD. Hairdressing was something that started off as a hobby for Hector Obeng while doing his A levels. Today the multi award winning stylist, specialising in all hair types, is still going strong in his own shop in Richmond, England. Hector's Global Hairopened in 2003 and is a multi award winning, unisex salon that offers a full range of hair and beauty treatments for a total hair-body health system. Hector has a strong team based ethic, and his stylists have earned an array of awards including six times winners of Colourist of the Year, Weave & Extensions Stylist of the Year and Regional Stylist of the Year, Braid/Extensions Stylists of the Year 2011 and 2012, Great Lengths Bridal finalist 2012, National Bridal Hair finalist 2012, Weave/Extensions stylist runner-up 2012 and Great Lengths Consumer Awards winning Hairstylist 2013. The team has also continued to be finalists and winners at the National Hair Awards including Colour, Bridal Hair and Braids/Extensions between 2003- 2013, a total of 24 times. The salon has 4 stars in the Good Salon Guide and is a member of the Good Barbers Guide. Hector's work has been extensively featured in publications such as Black Hair UK, Black Beauty And Hair UK, Guardian, Vogue, Tatler, Richmond Times, Pride, Perfect Hair, Hair Styles, Hair, Good Salon Guide, Sophisticate Black Hair (USA). Hector is also the creator of H-Elite Cuticle Virgin Micro Thin Weft Hair Extensions, and the Professional, Hector’s hair product range. Hector Obeng’s tutorial demonstrates an application of plaited-in synthetic hair extensions, without the use of glue, wax, adhesives, clips or bonding agents.